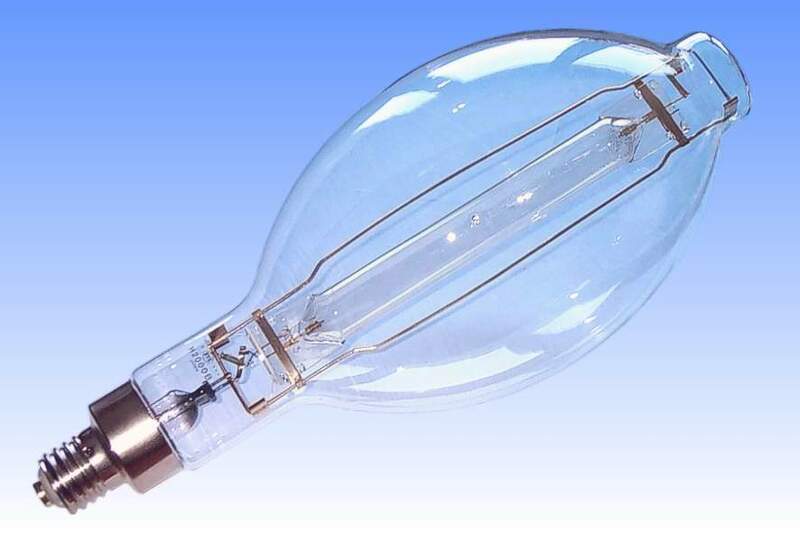 The 2kW mercury lamp has never been a particularly popular light source, with its market being restricted almost exclusively to Japan and certain European countries where mercury lighting still remains. The vast size of the lamp and the luminaire it requires invariably meant that the same lighting levels could be achieved at lower cost by employing two 1kW lamps instead. The principal application is in high bay industrial floodlighting of very large high-roofed production areas, exterior floodlighting in shipyards etc. Today the 2kW lamp is manufactured solely by Japan's Iwasaki Electric Company in only very small quantities for replacement purposes. 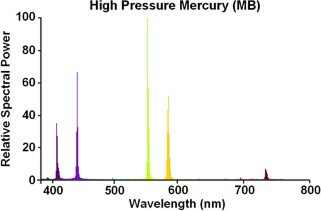 Technologically the lamp is simply a scaled-up version of smaller mercury products, there is no particular challenge to making a lamp of this size. 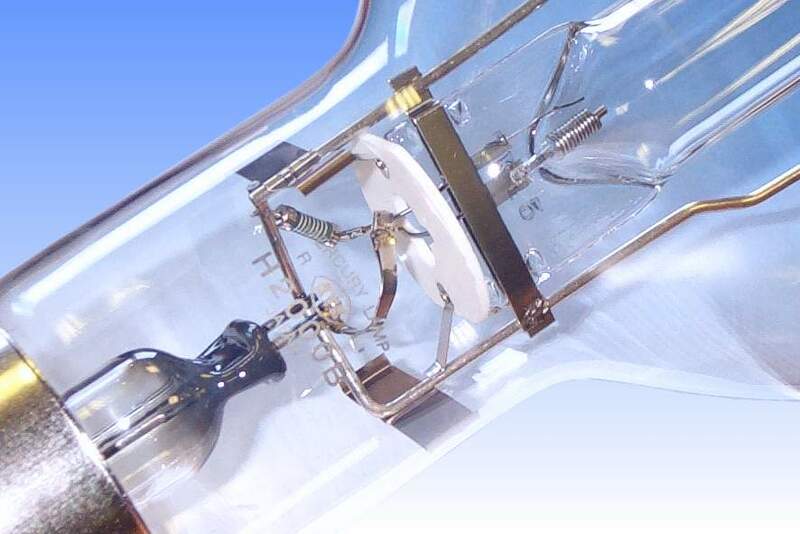 Perhaps the only important addition is a ceramic heat deflector disk welded in place in the neck of the outer bulb; this is required simply to keep the cap and lampholder temperature down as low as possible. The arc tube is fabricated from high purity quartz of 32mm diameter, and at the cap end there is a third auxiliary electrode for ignition. The main electrodes are impregnated with a double carbonate mixture + thoria to provide good electron emission. Supporting such a bulky arc tube in a safe fashion requires a full metal frame support made of heavy gauge nickel-manganese wire, a slightly springy material which helps to absorb some shocks. Steel strips locate the frame accurately within the outer bulb, the BT shape being essential here to allow a large contact area at the crown. The base is mechanically clamped to the glass for extra strength. References: 1) EYE Lamp Catalogue 1998.